Baby Driver, the latest from writer/director Edgar Wright, is about to further fuel Wright’s cinematic position as one of the most daring auteurs this side of the arthouse. Although Wright’s name may not be household, his films certainly are. From Shaun of the Dead to Hot Fuzz and Scott Pilgrim vs. the World, Wright has been crafting the most loved of so-called “cult classics” for years now. Baby Driver is not Wright’s first genre-bending work, but the film is the first to withhold comedy from being the driving force. Instead, Wright allows the harmonious relationship between music and action to cultivate a glorious spectacle of summer blockbuster. Ansel Elgort stars as Baby, a getaway driver with tinnitus who constantly listens to music on his vintage (they’re not that old) iPods. This opens the gateway for the fusion of music and film Wright is so known for. 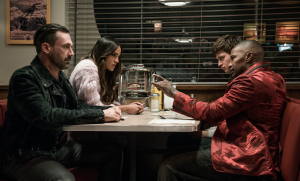 As Baby goes from heist to heist, meeting criminals played by Jon Hamm, Jaimie Foxx, Kevin Spacey, and Eiza González, he listens to a wildly fitting selection of songs from a bevy of decades to accompany his driving prowess. Added in to the playlist is Lily James’ Debora as the love interest to Baby and his main cause for action. Through the spectacular cinematography and soundtrack, Baby spee ds through a number of automobiles, turning Atlanta into a demolition derby. Edgar Wright continuously brings his own overt-style to each film (seems fitting he didn’t direct Ant-Man) with quick editing, wry humor, and of course, music and action in sync. For Baby Driver, its as if Wright has turned his own love for music into a narrative force. Each song for the soundtrack isn’t there for just background noise and helps add to the already much heightened reality. The fantasy of living out a personal movie through personal soundtracks is fulfilled by Baby’s constant musical choices of Blur, David McCallum, The Commodores, among plenty of others playing out through his day. From the long tracking shot in the beginning set to Bob & Earle’s “Harlem Shuffle” showing Baby interacting with his world, the importance of a soundtrack is never diminished. A finale set to an apt Queen song is one of those perfect movie moments. 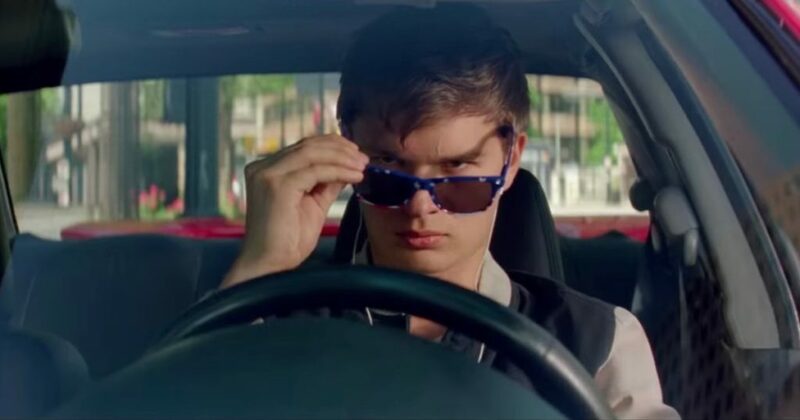 More than a car/heist/action movie, Baby Driver is a music lover’s fantasy, a “what if” all those songs rolling around your head were helping make the movie of your life. The fantasy of stylish getaway driving seen in other films like Drive, The Driver, and The Getaway have by tradition always favored the neo-noir soaked approach to cool. Wright’s wonderful eye for color leaves out the chiaroscuro and neon-stylings for a palette of primary colors and bright Atlanta scenery. Narratively, Wright keeps the archetypical silent driver through Baby (along with the classic villainous criminal tropes) and the “damsel-in-distress” character as Debora. Wright gives Debora enough nuance to flourish as a character, but never lets her break the male-dominated ideas of the car-chase-movie. The romance between her and Baby more highlights Baby’s own motivation than it does Debora’s character. Baby Driver will be accepted into the Wright canon as more midnight movie watching and rewatching become accessible. Wright’s fans will have further reason to adulate him while his detractors may see this as, at least, a film demonstrating growth. The film is a towering love letter to music and action films and exemplifies Wright’s genre-bending intelligence. The kinetic editing and pacing only allow the energy of the film to flourish rather than hindering the action under a miasma of quick-cuts. The sheer coolness of style also breathes new life into the genre, with Kevin Spacey coming out as the primary scene-stealer, jazzed up on his own criminal world. Wright’s ability to cross genres and present fresh takes on old stories is so well received because he crafts fun movies. There’s always drama present in his works, but he doesn’t let that slow down the massive appeal of action and comedy and character. Baby Driver continues this tradition but within a more dramatic vein. Its an action movie for music lovers, and vice versa. A homage without being cliché. 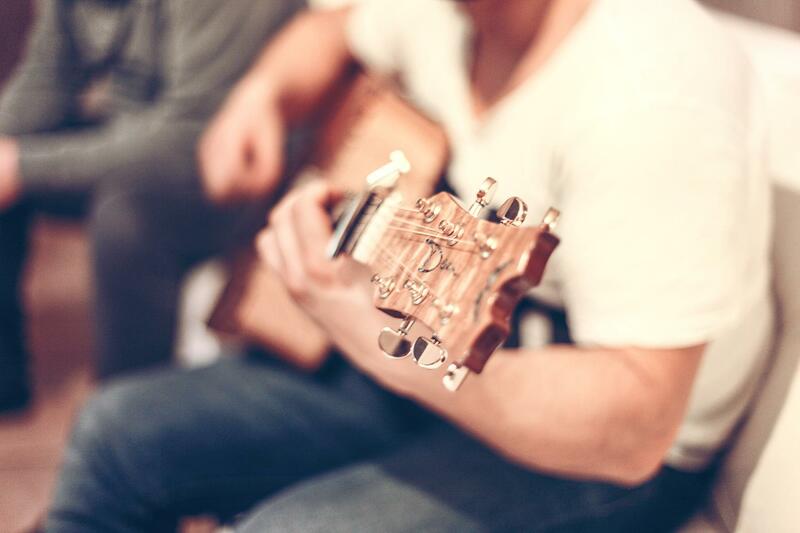 A whirlwind of fantasy without being totally unrealistic.